Matrix Connectivity as a Service (MCaaS) is the intelligent management of Internet bandwidth through a combination of purposeful network design, disparate circuit sourcing, and SD-WAN optimization. All on one bill, managed and maintained by Matrix Networks' team of experienced Pro-Techs.  At the request of our clients, Matrix Networks developed MCaaS, a platform that provides a single partner for the management and support related to every aspect of business connectivity. From carrier agnostic circuit sourcing to built in company wide redundancy, 24/7 support/monitoring, and consolidated billing - MCaaS has simplified the way our clients experience connectivity, allowing them to focus on what matters. Their business! You deserve a great connection to the Internet and reliable access to the applications your business depends on. 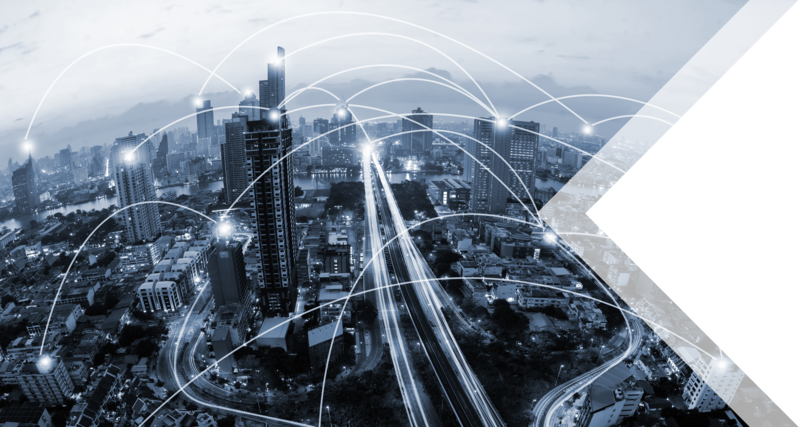 Matrix Connectivity as a Service ensures this access, and in the process, simplifies the management of carriers while optimizing network infrastructure. Clients of MCaaS are experiencing 5X Internet speeds and saving an average of 30% on connectivity costs! Organizations utilizing legacy network designs such as MPLS and VPL to connect multiple location are traditionally hampered by expensive long term contracts, dependence on a single carrier, limited speed, and no strategy for the important migration to more flexible and powerful cloud applications. Furthermore, this type of network experiences diminished circuit value because of the ever-increasing need for access to critical real-time applications that reside in a private colocation/headquarters or that need access to public cloud environments. This requires most businesses to run separate internal and external facing networks, which increases complexity and cost. Matrix Connectivity as a Service brings these two networks together, providing a single solution that creates or supports VPN connectivity to internal applications, allowing optimized routing to critical cloud applications and providing QoS without dependence on a single carrier. 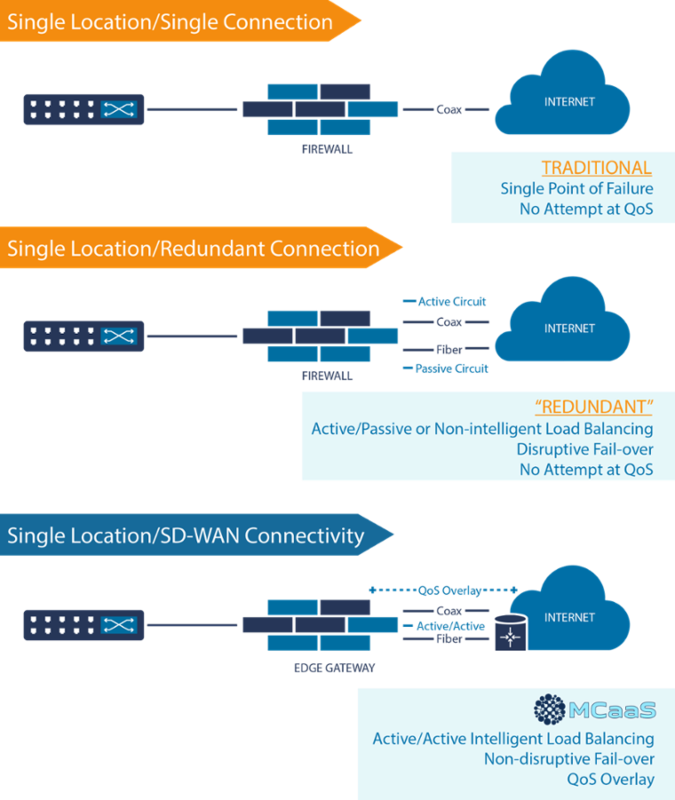 Active/Active Intelligent Load Balancing – Redundant routers and switches in our core network that provide an added layer of reliability. Pro-active Monitoring and Network Reporting – Advanced software layered on to MCaaS solution to provide ultimate network transparency. Increased Bandwidth – Through the combination of SD-WAN and strategic circuit selection, MCaaS is able to significantly improve the speed of your network. This enhances end user experience and improves productivity and efficiencies across your entire organization. How does this work? 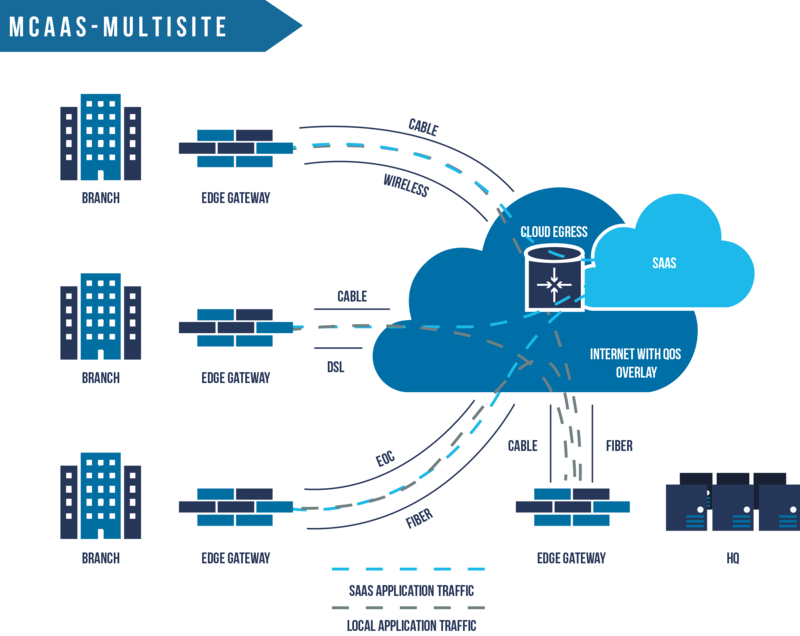 The infographic on the right showcases the evolution of single site connectivity and how MCaaS combines a unique blend of technology that delivers active/active intelligent load balancing, non-disruptive fail-over, and QoS overlay.